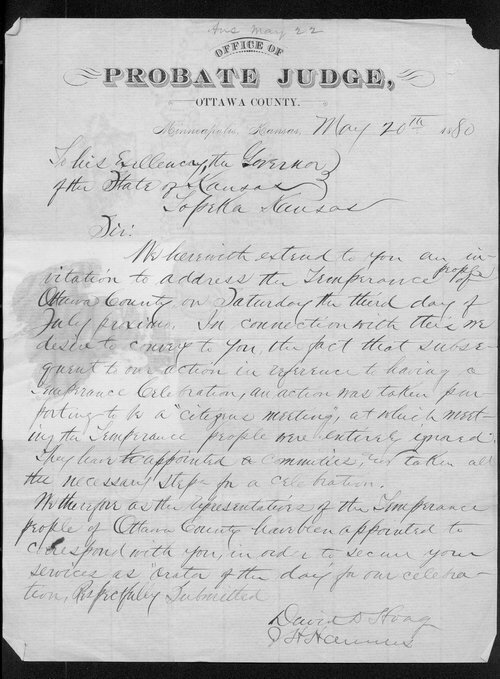 This is a letter to Kansas Governor St. John in which he is invited to address the Temperance people of Ottawa County on July 3rd. He will serve as "orator of the day". It is on stationary from the Office of the Probate Judge, Ottawa County, Minneapolis, Kansas.